Welcome to the mystery world, where you will play with the girl, who wants to know about her childhood and parents. Explore each world and get the main key. You must solve all riddles. Use the hints and vanquish this game. Would you like to be the guide through this adventure? You have a task ahead so we need to be very careful. Our task is to unlock every world and gather the three special keys. 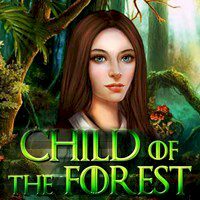 With these keys we can unlock the final bonus game, this is the child of forest. Here is how she got her nickname. When she was a child she was found in the forest and nobody knows how she got there. She does not know her parents. She came back to discover the truth about her. So, help her and make her really happy! Good luck to you.